Are you an admirer of ancient script? 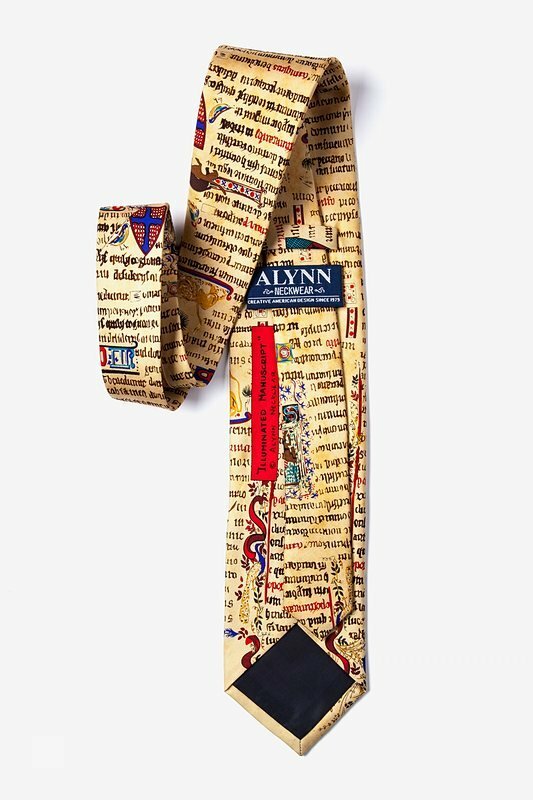 This classic Alynn Neckwear Illuminated Manuscript necktie is constructed of the 100% silk and features a design that has vibra... read more Are you an admirer of ancient script? 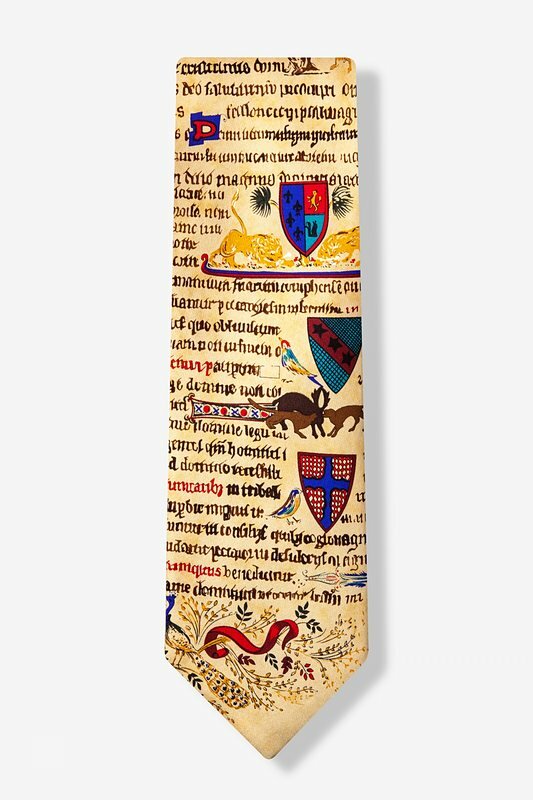 This classic Alynn Neckwear Illuminated Manuscript necktie is constructed of the 100% silk and features a design that has vibrant red, blue, and yellow tones and has various heraldic shields that represented ancient soldiers. 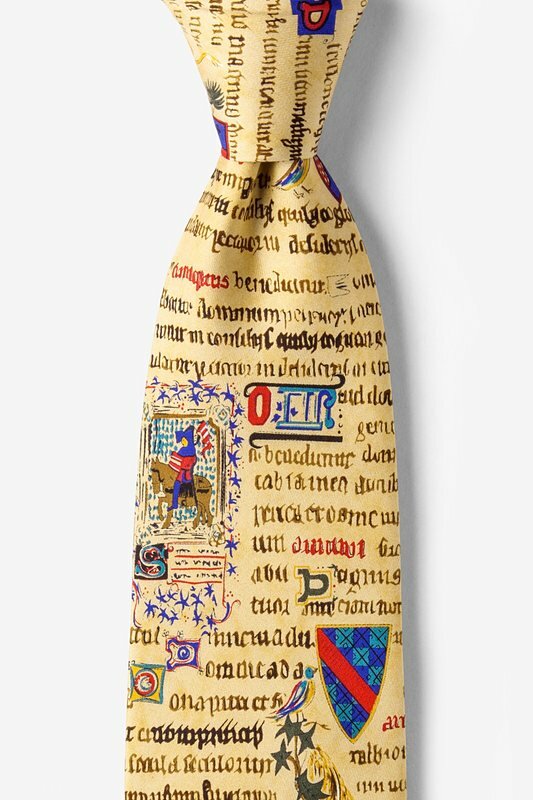 For the history buff or avid scholar of typology, this tie will add a unique panache to your look.